May is National Osteoporosis Awareness Month. And chances are, you or someone you know has suffered from osteoporosis. So you understand that a sudden fracture can not only interrupt your regular routine but change your lifestyle for the worse. That’s why today (and the rest of the month), we’re asking you to join us in spreading the word about the importance of building and maintaining strong bones. Click the video below to watch some of the AlgaeCal team discuss how osteoporosis has affected us at work, affected our families, and more. Win a 6-Month Bone Builder Pack from AlgaeCal! Would you like to win a 6-month supply of AlgaeCal Plus and Strontium Boost (valued at $372 USD)? And you’ll also receive an initial consultation, a 3- month and 6 month follow up call with a dedicated Bone Health Consultant to guide you through your bone health journey. There are few simple ways to let us know you’re interested. And each earns you separate entries into the draw. Meaning you can enter your name MULTIPLE times, increasing your chances to win. Sign-up to our newsletter using your preferred email address. Pin our National Osteoporosis Month infographic. Subscribe to AlgaeCal on YouTube. Answer a bone health question – there are two! Share this giveaway with family and friends. The more entries you complete, the more chances you have to win your very own 6-Month Bone Builder Pack for National Osteoporosis Awareness Month! Enter below! *Contest Limited to USA and Canadian Residents only. Worldwide, osteoporosis causes more than 8.9 million fractures annually, which results in an osteoporosis fracture every 3 seconds. 1 in 3 women over the age of 50 will experience osteoporotic fractures…as will 1 in 5 men. Nearly 75% of all hip fractures occur in women. Yet men have high rates of fracture-related mortality. Share this infographic below by hovering your mouse over the picture until you see the Facebook, Twitter, and Pinterest logos. To receive an entry into our giveaway click the red Pinterest button, choose the board you want to save it to and click “Save”. That’s it! 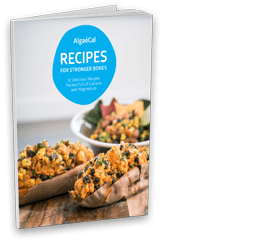 This not only earns you an entry into AlgaeCal’s 6-Month Bone Builder Pack Giveaway, but you’ve helped spread the word about osteoporosis and its staggering facts and statistics. I hope this helps me even though I now take Tamoxifen. I’ve been using AlgaeCal duo since February. Looking forward to next bone density to see if improvement. My mother-in-law is 88 and during the last 6 months has sustained spontaneous vertebral thoracic and lumbar fractures to 5 vertebrae on separate occasions. Each has resulted in excruciating pains and great distress. Balancing the amount of analgesia she has needed has been very difficult because of the side effects such as over-sedation and reduced appetite. Her reduced motibility has lead to significant loss of muscles and her stature has gone from normal to scoliosis with greatly reduced height. The last episode required hospitalization to try and control her pain and nutrition. Osteoporosis is a truly devastating condition and its prevention is not discussed widely enough. We are so sorry to hear about everything your mother-in-law has been going through. We agree, it’s so important to talk about prevention, and spread awareness on how to better care for our bones. Wishing you & your mother-in-law all the best. Algae Cal sounds wonderful, almost too good to be true! Would love to give it a try. Mom and I LOVE AlgaeCal. Thank you for a high-quality, essential product! We recommend it to all friends and family. The only options the specialist offered me to heal my osteoporosis were the drugs with terrible side effects. When I asked about a more natural approach, she said there wan’t one and abruptly ended the appointment. Thankfully, I found AlgaeCal on FB and am trying it. I’m looking forward to my next bone density to see the improvement. Thank you, AlgaeCal for being there to give me and so many others hope! In 2003 I broke my pelvis with a Dexascan showing Lumbar -2.29 & Femur -1.97. I started AlgaeCal in 2006. Now in 2018 my Dexa shows Lumbar-1.3 & Femur -1.5! Improving a lot … I increased 2% since last scan in 2015. Thank you AlgaeCal … I walk more confidently now. Is taking too much calcium the reason I have a massive (2cm) kidney stone? My urologist says to stop taking it. My endocrinologist wants me to take more. I’m baffled! Good question. Traditional rock-based calcium supplements (like calcium carbonate or calcium citrate) have been known to cause kidney stones and could be a contributing factor – as they often contain an excess of calcium and lack additional nutrients. AlgaeCal, on the other hand, is a wholefood supplement that does not cause kidney stones because it has a complex of naturally occurring minerals that help direct the calcium into bone rather than soft tissues like kidneys! And ironically, restricting calcium intake does not prevent kidney stone formation. In fact, high dietary calcium intake decreases the risk of kidney stones. You can learn more about kidney stone formation in this blog post! Hope this helps. Thanks for all the great information & products. I’m in my 40s and was diagnosed 5 years ago with severe osteoporosis in my spine and femoral necks as a result of being left on proton pump inhibitor drugs for 20 years. Doc says I have a very high fracture risk and have the bones of an 80 year old. I have taken two prescription bone drugs and cannot take the side effects any longer. Hope to be able to start my bone builder pack soon and look forward to seeing positive results! I am trying AlgaeCal, I hope it makes a difference! Had read about Algaecal on the web in 2016 as I was diagnosed with osteoporosis. My daughter bought me a three month supply last week and I have started taking it. I am eagerly looking forward to seeing my bone health return to normal. Also recommending it to my 74 year old husband and my children as a safe guard against bone loss. We’re glad you’re getting started, Sheela. If you ever have questions let us know! Hope your fall wasn’t too painful! Really wonderful to hear that your doctor said your bone looked very good. Thank you so much for taking the time to comment and share. I am 67. I have had osteopenia that moved to osteoporosis etc for about the last 10 years. I always refused the standard pharma recommendations of my doctor after reading of side effects. I started the Bone Booster series in January of 2017. Six months later the DEXA scan showed I had moved back to osteopenia! I have continued taking these and expect my next scan in a few months will show even more improvement. I’ve shared these results with several people who have begun to use the AlgaeCal and Strontium Booster. My doctor said to keep on keeping on! The DEXA scan technician was VERY enthusiastic about my results by the way! Please don’t hesitate to reach out when you get your next scan in a few months. We’d love to hear how it goes. II’ve been taking Algae Cal for my osteopenia. It’ s a great product. Thanks for offering a great contest on your wonderful products. on Algae Cal has been successful. Let us know how it goes, Judy! My first scan after algaecal will be in September. I am excited to see the results! No way was I going to take a bone drug. Looking forward to an improved Dexa Scan! That’s great! Keep us updated, we’ll be excited to hear how it goes! I was recently diagnosed with osteoporosis in my spine and rather than go on the pharmaceuticals, decided to research more natural methods of treated it. Had run across AlgaeCal in my research and was considering trying it when it randomly came up in a conversation with a friend of mine who was diagnosed 5 years ago with osteoporosis. She’s been using AlgaeCal for 3-4 years now and showed me her dexa scans – no more osteoporosis, just some slight osteopenia. I ordered AlgaeCal immediately and am looking forward to my next bone scan! In 2001 , at the age of 64, I was diagnosed with osteoporosis. A decade later it was again confirmed. I don’t remember when I started Algae Cal but it has been years. The last DEXA scan had my marker touching the line between osteopenia and normal – just below the normal line. My doctor was impressed. That’s fantastic news, Helena! Thanks for sharing your positive results with us! After years of doing all the right things to prevent bone loss, I find myself dancing on the edge of Osteoporosis. I’m hoping this new regimen with reverse this trend. Absolutely, Diane. Please feel free to reach out if you need anything! You can also give our friendly Bone Health Consultants a call at 1-800-820-0184. I was on bioidentical hormone replacement for 5 years after menopause & quit cold turkey when my friend got breast cancer on the same hormones. My Dexa scan showed osteopenia in the spine & mild osteoporosis of the hip. 1 year later, after taking other calcium products with vitamin K, D, & C, BOTH measurements had worsened to osteoporosis! I just started Algaecal & I’m excited to take another scan in 6 months to see positive results. Thank you for taking the time to share your experiences so far. We’ll definitely be looking forward to positive results with AlgaeCal! If you have any questions along your bone health journey please don’t hesitate to reach out. My PCP showed me my most recent DEXA scan results last month, which to my surprise showed that my osteopenia, which I have had since having estrogen-positive breast cancer 17 years ago (I am now 70 years old) has moved into the osteoporosis range in one area, the neck of my left femur. My spine is still in the normal range. 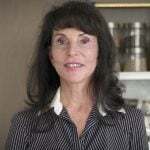 I was surprised that she recommended highly that I start taking a prescription bone medication, because she has always been one to explore holistic and naturopathic treatments first. I started doing extensive reading about it (I am an academic librarian) and interviewing everyone I know to find out what their status or experience has been with this disease and its treatments. During my interviews, I learned that a cousin has been taking AlgaeCal for a few years and has had great results. I also learned that the “rare” side effects of the pharmaceutical answer to osteoporosis are not nearly as rare as is claimed. After making up my mind about what to do, I ordered a year’s supply of the Bone Booster Pack, and began taking the supplements two weeks ago. I am now concentrating on strengthening my muscles, increasing my balance capability, cutting sugar – as much as possible – from my diet, and focusing on good health in general. I am confident that I will see good results from AlgaeCal, and I know I made the right decision. I can “feel it in my bones” already! Wow, thank you so much for sharing Jennie! We love that you took so much time and care into researching the best treatment option for you. We’ll look forward to fantastic results and please let us know if you ever have any questions! We’re here to help. I have been taking AlgaeCal for a year and my next scan is coming up and I am hoping for good results!!! Hmmm…samples? Do you ever do any? I’d love to try it, it sounds great! Good question! Sample sizes are not available, but we do have a one-year product satisfaction guarantee which gives you a chance to try the products and see if they are a good fit for you! If there’s any reason you are dissatisfied, you can return any unused or partially used bottles for a full refund. You can learn more about this here! My husband has been on Algaecal for 5 month now and will have a bone density test this fall. Can’t wait to see the results. Thank you. I appreciate your product and am thankful that I am able to take it. I am excited that Moringa increases the results as that is what I use as my multi-vitamin/mineral from India. We’re so happy to hear that, Diane! If you ever have questions throughout your bone health journey let us know! I would like to try AlgaeCal and hope that I’ll win the Bone Builder Pack to start with 🙂 ….. I was diagnosed with osteoporosis and osteopenia last fall. It was devastating news for me. I have walked 4 miles every morning for over 20 yrs, taken more calcium than prescribed, just to prevent it. I am recovering from mercury poisoning, which depleted all the calcium from my bones, as well as causing numerous health issues. I started taking Algaecal, but cannot tolerate the fermentation in Algaecal Plus. I am taking Algaecal Basic along with the Strontium, hoping my next scan will show an improvement. Thank you for all your information. Keep up the good work. Thank you for taking the time to share, Sue. We understand the disappointment that can follow a diagnosis of osteoporosis, but it’s so wonderful you are choosing the natural approach to turning around your bone health. Rest assured AlgaeCal is providing your bones with the nutrients they crave. Please don’t hesitate to give our Bone Health Consultants a call at 1-800-820-0184 if you need anything! We’re always happy to help ensure you get the best results with AlgaeCal. I hope to use Algae Cal and Strontium for the 6 months straight I do not want to have a bone so thin that it looks like a spiderweb- as my mom had. 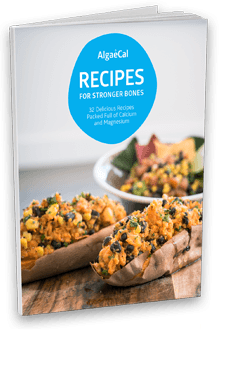 Following a plant based diet to increase bone health. Thanks for this opportunity to keep us healthy. It’s great to hear you are taking your bone health into your own hands, Joy! If you ever have any questions let us know – we’re here to help! After a year of using AlgeaCal and Strontium, I improved my bone density. It still has a long way to go but every month makes a slight difference. It looks like I should be more regular and diligent at taking my algaecal and strontium. If you need any help creating a schedule that better suits your lifestyle let us know! Our Bone Health Consultants are always happy to help – you can reach them at 1-800-820-0184 or email [email protected]. Thank you to Algae Cal for providing information about osteoporosis and for making a product that hopefully will help a lot of women avoid breaking a bone. My doctor certainly is not very helpful. I hope these products will help me to feel and remain stronger. Bonnie, thanks for the kind words! We’re so glad you find our information useful. If you ever have any questions about AlgaeCal or bone health please let us know! I had ankle replacement surgery 3 weeks ago. Surgeon informed me that he could see that I had osteoporosis. My husband happened across a facebook ad for Algaecal and thought I should give it a try. Lots of good reviews. I had been taking calcium supplements for a number of years–but evidently they have not been helping much. Hoping Algaecal will help in bone restoration and healing. Thanks for taking the time to comment, Gwen. While your previous supplements may have been beneficial in slowing down bone loss, AlgaeCal can actually increase your bone density! If you have any questions throughout your bone health journey please let us know, and we wish you a very smooth recovery following your surgery! Started taking the product last Nov and had a DXA scan..sked to go back for the next one and hoping for positive results. I’ve already had double hip replacement and am told I have degenerative disk disease. I am a ballroom dancer and live to dance. Having good bone health is imperative to help me continue to enjoy my passion, which fuels great health benefits as well! Thank you for taking the time to share and definitely do keep us posted, Neloh! Just recently had a Dexa Scan and told i have osteoporosis. That news depressed me. My doctor advised me to take a bone drug. After researching all the side effects, i am trying AlgaeCal. Medicare won’t pay for another scan for 2 years, but this will give AlgaeCal a good chance to show what it can do. Thanks for all the nutrition and exercise news. We’re glad you’re giving the natural approach an opportunity! You can absolutely turn around your bone health safely and naturally with AlgaeCal. If you ever have questions let us know, we’re happy to help. is there anything that I should be wary of when playing? is osteoporosis a common cause for pains in the back? While tennis is a great exercise for strengthening our bones because it is weight-bearing, it’s definitely best to check with your doctor on what exercises should be included (or not) in your bone health regimen! Osteoporosis is often called the silent disease because its symptoms can be very subtle. However, bone pain is one of the symptoms. You can click here for more signs that can indicate bone loss. Thank you for the information. Have been thinking about ordering for awhile. You’re welcome! 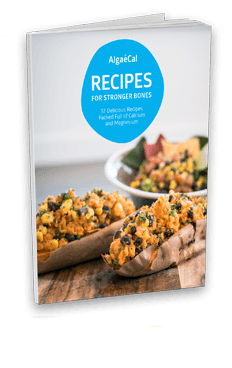 For more information, including recipes and exercises for stronger bones, visit our blog here. Just started the program. Every year have been losing a little bone mass. This will be truly awesome if I see a gain in 10 months and can stay off medications. Time will tell. Agreed – it will be awesome, Yvette! If you ever have questions please let us know. We’re here to help. Good question. AlgaeCal does provide some of our raw material for Garden of Life to use in their own formulation. Although their formulation will have a similar makeup, including things like vitamin D3 and K2 along with their own blends of fruit and vegetable extracts; AlgaeCal’s proprietary blend of vitamins and minerals combined with our unique algae, make AlgaeCal the only calcium supplement on the market that has been proven time and time again to show a measured increase in bone density. 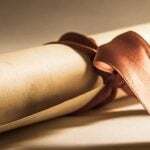 These studies have all been peer-reviewed and published in respected journals, and you can find them all here. In contrast, other calciums may simply slow down the rate of bone density loss. AlgaeCal is also the only calcium supplement guaranteed to increase bone density. There is more reading on our guarantees here. I am 62 and was diagnosed with osteopenia and mild osteoporosis about a year ago. I did not like the side effects of the medications my doctor offered and told him I had researched another option and ordered algaecal and strontium. He told me at the end of the visit that he would have done the same thing if he were me. So, I am hoping for an improved DEXA score this summer, not just for me, but also for this doctor, so he can offer his osteoporosis patients another option! We’re so happy you chose to take a natural path to strengthen your bones, Deborah. It’s so kind to think of others who are in a similar situation – and something we love to hear. Let us know how your next DEXA scan goes, we’ll be looking forward to it! Thanks to your ad on Facebook, I found your products and started using the AlgaeCal and Strontium. I’ve been diagnosed with osteopenia and osteoporosis before. I’m so hoping that your products increase my bone density as due to a condition in my right leg I am unable to get the physical exercise I would love to get – just walking would be wonderful. I’m due to a bone density test in July and hope to see improvement! Thank you for your products. I was diagnosed with osteoporosis. At the same time I found out I also have Eosinophilic Esophagitis which makes the esophagus stiff, making it hard swallowing. Because pills stay in my esophagus longer than normal, I cannot take prescription bone drugs as they will cause esophageal cancer so I researched and found AlgaeCal. I am very impressed with all the studies, reviews and literature provided by AlgaeCal & Dean Neuls. I am currently on my 6th month of taking AlgaeCal & Strontium. I just ordered my second 6 month bone builder pack. I plan on getting another DEXA scan in a few months and look forward to seeing great results. I know I should have asked sooner but I have one question. Will AlgaeCal Plus or Strontium Boost cause any issues to my esophagus? Thank you so much for taking the time to share, it’s wonderful you found AlgaeCal and decided to take a natural approach to your bone health! Unlike the prescription medications, AlgaeCal has no side effects and will not cause any issues with your esophagus – the safety of AlgaeCal is confirmed in our 3 human clinical studies. Let us know how your next DEXA scan goes, we’d love to hear 🙂 And if you ever have questions feel free to let us know! I also just started taking AlgaeCal and Strontium Boost I am two months in. Awesome, Sandy! If you ever have any questions be sure to let us know. Thanks so much for the information and opportunity to win some products! You’re welcome, Jackie. Best of luck! Glad you think so – if you’d like to learn more click here! Having had numerous fractures, at 83, I am faithfully taking my Algae Cal and Strontium now! Recently diagnosed Congestive Heart Failure, I am very serious about low sodium and no salt recipes as well! Thank you for sharing Lora! My doctor recommended AlgaeCal a few years ago when I was diagnosed with osteoporosis. I almost always take AlgeaCal twice daily and am no longer considered a person with osteoporosis. Having bone scans done is always kindva’ fun because I can see how well I am improving. thank you. I want to try this so so bad! I am only 32 but have had hypothalamic amenorrhea for over ten years. I know that the low estrogen from not having a period could mean bone issues. I have tried to get a DXA to find out but no one will order it since I am not 50. I imagine that is an insurance thing. I would love to take this while I am waiting to get a period back. Thank you for taking the time to share, we’re sorry to hear you’re unable to get a DXA scan – this is likely based on insurance coverage like you said. In the meantime, the vitamins and minerals would definitely help to provide your bones with the essential nutrients they need to be replenished! Please don’t hesitate to give our Bone Health Consultants a call at 1-800-820-0184 if you have any questions or would like more information. I was diagnosed with osteoporosis last year and my doctor immediately wanted me to start the injectable meds that have terrible side effects. I started Algae Cal with Strontium Boost instead, after finding it on FB. I’m looking forward to my next DEXA scan to see the improvement! I also have celiac disease and Hashimoto’s thyroiditis, but I have confidence my DEXA scan will improve despite these challenges. Thank you for providing this safe, effective, alternative! Algaecal website has so much valuable information. I was diagnosed with osteoporosis at age 57 and do not want to take the medication. It’s so important to us that you have the knowledge and power to take your bone health into your own hands safely and naturally! So we’re thrilled you find our website helpful, Jennifer! I have been on AlgaeCal Plus and Strontium Boost for about a year and a half and finally this year in June I will be able to get my next DXA scan. (My insurance will only cover a scan every two years.) I am looking forward to finding out how much I have improved in the past two years. My original scan showed a T-score of -2.9 in the spine and -4.9 in my left wrist. (I’m only 54 but at age 36 I had both hips replaced due to a disease called osteonecrosis, caused by taking corticosteroids for lupus.) Now I also have hyperparathyroidism which has accelerated the bone loss and given me kidney stones to boot. Unfortunately I still have to take corticosteroids for the lupus but I try to take as small a dose as possible for the shortest time as possible. Thank you for making such a wonderful product! Thank you so much for taking the time to share your story with us, Vickie! We’re so looking forward to hearing your results 🙂 If you ever have questions throughout your bone health journey we’re here to help. I found out I had osteoporosis the hard way…3 falls within 11 months, almost 2 years being bedridden, and 8 years in a wheelchair….in my 40’s. My life completely changed, and not for the better. We are very sorry to hear, Stace. Please don’t hesitate to let us know if you have any questions about AlgaeCal or bone health, we’re more than happy to help. Looking forward to a very positive DEXA test as a result of being on your product. Awesome, Louise! Keep us in the loop – we’d love to hear your results! Thanks for a great and informative video! Thank you Sindy, so glad you liked it! I have been reading about AlgaeCal and really would love to begin taking it but I need to budget for it before I can start. My doctor gave me a prescription for Adoral (I think that’s the way to spell it) but I don’t like taking medication/chemicals. So I hope to begin soon and then share my improved numbers! I am interested in trying AlgaeCal but dealing with Hashimoto Thyroid and have digestive issues. Concerned about the Strontium Boost with my stomach issues. Thanks for this opportunity to learn more about your product. We’re glad you reached out! AlgaeCal Plus and Strontium Boost are both completely natural supplements that are very well-tolerated. We also have many customers with thyroid conditions who see wonderful results with AlgaeCal. Linda, for example, saw a 10% increase in bone density despite being on a thyroid medication! You can see her story here. If you would like to learn more or have any questions please feel free to contact our Bone Health Consultants! You can email [email protected] or call 1-800-820-0184. My Dexa scan showed a statistically significant improvement in my spinal bone density after one year of taking AlgaeCal and Strontium Boost. Thank you! I’ve been taking this for 6 months now am anxious to get a new scan and see how I am doing. Added Vitamin D & K in just recently and need to wait until my yearly scan. Wonderful, Becky! Keep us updated on your results and let us know if you ever have questions! I took all of the osteoporosis meds and got ill with them. I just started AlgaeCal and Strontium and hope it works. I prefer something more natural.. I have always had a healthy diet and exercised but that really didn’t make a difference. 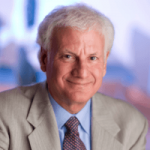 Are there any drug interactions with the drugs used for endocrine therapy for breast cancer – GnRH drugs to suppress ovarian function and aromatase inhibitors? Just started taking Algae Cal and Strontium last week. Vitamin D and K and walking weren’t getting the job done so I sincerely hope this works. I am having some issues with indigestion after taking the Strontium. Thanks for commenting, Diane! AlgaeCal will definitely help to increase your bone density, but we do want to make sure you are feeling 100% while taking it. Please email [email protected] or call our Bone Health Consultants at 1-800-820-0184 as we’d love to work with you to resolve the indigestion you’ve been experiencing! I have been taking AlgaeCal and Strontium Boost for several years and last year, my DEXA scan showed an 8% increase in bone density!!! These products definitely work well! I use your calcium and I am a vegan runner! I just won the Regional Senior Olympic Game for woman 65-69! I think your products help me be strong!! I started Bone Builder about 6 months ago… just reordered, I am hoping it works! Awesome to hear! If you have any questions during your bone health journey, please let us know. We’re always here to help. Thanks for offering products that help improve health naturally rather than using man-made chemicals that can have unlimited side-effects. You’re welcome, Susan! We appreciate the kind words! I was diagnosed with osteoporosis eight years ago. My doctor prescribed a prescription bone medication and told me that the best thing he could tell me to do was to walk. I took his advice and began walking at least one mile per day. About 18 months ago I had another bone density scan — no osteoporosis but a little osteopenia. Needless to say, I still walk at least a mile every day! AlgaeCal has been part of my daily supplements for over a year and I have improved from an osteopenia rating to a healthy bone mass rating. AlgaeCal has been terrific in reducing and almost eliminating the pain I get from leg muscle cramps and pain in my bones and feet, Thank God I found this amazing product and recommend it to all. Wow, thank you for sharing Ron. We are so appreciative and happy to hear you recommend AlgaeCal! All my t scores are scary I fear to write them down as I like to keep my thoughts up high above the negative and focus on the positive outcomes like “Health is Normal” for all of us. I have only been on Algae Cal just short of 6months and my bone scan is due later in the year. I would love to add Strontium Boost to my bone strength regime but have financial constraints being a pensioner. I remember the days when I first commenced taking AlgaeCal I could feel it doing me good all the way round my body as my bones were so starved of the right nutrient’s…..I look forward to my next scan so I can say it’s good news week. 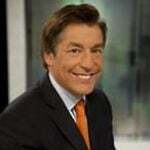 People are always amazed at how young and vibrant I am for my age. Seven years ago I was a crumbling heap. Osteopenia in Hips and spine. Thanks to Algaecal and Strontium boost. my Dexascan shows no evidence of Osteopenia. I am 63 years young going on 50. It would be nice to enter I’m sure, but since your rules exclude Australian residents because we are not in Canada or USA it is a pointless exercise. You do see the point? Absolutely. We’re hoping to open up the next giveaway to include more countries, including Australia. I have not yet taken these supplements long enough to make an accurate summary. I shall make my comments at a later date. We’re so glad you did too, Kay! Thanks for sharing your improvement – we are so happy for you. I have been wanting to try the Algaecal product, but take Tamoxifen ( I was diagnosed with breast cancer 6 years ago) and also use Kenalog ointment on psoriasis. It covers a large part of my body and don’t know how much I absorb. Would Algaecal be safe for me to try? I’m just getting started, so I will see how I do in 6 months. I am using alga cal and strontium of almost 3 years .i have little improvement after 1 year usage.I hope after 2 years i will have much better results.My next bone test will be in September 2017.I will let you know what improvement I got in September!! Yes, please let us know after your next bone mineral density test! Have taken Strontium Boost for years and know how it has greatly improved my Bones – no longer osteoporosis – Thank you Algae Cal. I live in New Zealand – sadly can’t enter your competition ….! I’ve been using AlgaeCal Plus & Strontium for nine years with great success. I’ve been experiencing musclar pain due to inflammation or?? I’ve had hips, knees, and spine xrayed. Very minimal degeneration, it’s all soft tissue discomfort. Will the Triple Power help reduce the discomfort? Wonderful to hear of your success with AlgaeCal! 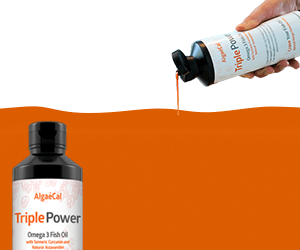 Yes, Triple Power is an anti-inflammatory with clinical doses of omega 3 fatty acids, astaxanthin and turmeric. These nutrients work together synergistically to combat inflammation in the body, and therefore, reduce discomfort. 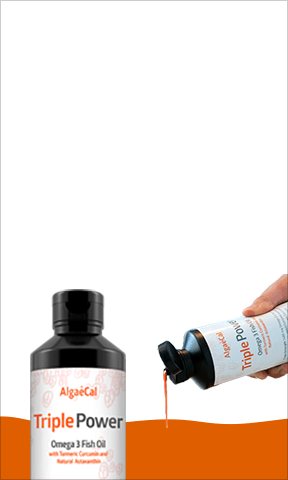 Here’s some additional information: https://www.algaecal.com/product/triple-omega3-fish-oil/ but please let me know if you have further questions. 76 year old with osteopenia and spots of osteoporosis. Trying they for six months. Eager to see next scan. I’m taking AlgaeCal and Strontium now after being diagnosed with osteoporosis but am still concerned about coronary calcium buildup. My last coronary calcium test was around 25 so I do have some buildup. My cardiologist says the jury is still out on whether taking calcium can contribute to this problem. AlgaeCal Plus contains vitamin K2, which directs calcium straight to your bones and keeps them out of arteries. AlgaeCal has had three human clinical trials conducted, the last was 7 years long – with no adverse side effects from participants, which includes heart issues. “We’ve known for more than 20 years now that one of the proteins that vitamin K2 activates, called matrix Gla protein, not only prevents calcium from depositing in the vasculature, but actually removes calcium deposits from our blood vessels (and other soft tissues, like our kidneys, breasts and brain). The first human evidence for a link between nutritional vitamin K status and vascular health was provided by the Rotterdam study, whose results were published in 2004. In this study, dietary intake of phylloquinone (vitamin K1) and menaquinone (vitamin K2) was analyzed in relation to risk of aortic calcification and coronary heart disease (CHD) in 4,807 elderly subjects recruited from the general population. Risk of incident CHD, all-cause mortality, and vascular pathology (aortic calcification) was found to be inversely related to intake of vitamin K2 (i.e., greater K2 intake resulted in significantly lower risk), but no such benefits were detected with respect to different levels of vitamin K1 intake. This is because K1, while beneficial for our bones because it lowers inflammation (and chronic inflammation is a key underlying cause of excessive osteoclast activation and bone loss), does not activate the vitamin K-dependent proteins, osteocalcin, which pulls calcium into bone, and matrix Gla protein, which prevents calcium from depositing in soft tissues and removes calcium that has deposited in the vasculature. Vissers LE, Dalmeijer GW, Boer JM, et al. The relationship between vitamin K and peripheral arterial disease. Atherosclerosis. 2016 Sep;252:15-20. doi: 10.1016/j.atherosclerosis.2016.07.915. Epub 2016 Jul 25. Vitamin K2 has been also been studied in postmenopausal women with osteoporosis and found to help prevent excessive bone loss, and in patients with chronic kidney disease, a condition that results in arterial calcification. 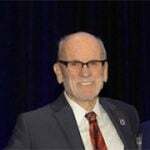 The most recently published study looking into the effects of K2 on arterial calcification in patients with chronic kidney disease was a small, pilot trial of 42 subjects with CKD stage 3-5 who were randomized into two treatment arms: one group receiving 400 iu of vitamin D3 only and a second group receiving 400 IU of D3 plus 90 mcg of K2 daily for 270 days. Progression of atherosclerosis was assessed by measurement of the intima-media thickness of the common carotid artery and was significantly lower in patients treated with both D3 and MK-7. Several additional prospective, interventional studies are now in process that will further investigate vitamin K2’s cardiovascular benefits. One of these is focusing specifically on coronary arterial calcification — a randomized, double-blind, placebo-controlled clinical trial: “The Effects of Vitamin K-2 Supplementation on the Progression of Coronary Artery Calcification.” This study is being conducted from Maastricht, The Netherlands (ClinicalTrials.gov Identifier: NCT01002157 and is investigating daily supplementation with 360 mcg Vitamin K-2 (MK7) in patients with established coronary artery calcification (CAC). The study is investigating whether MK-7 supplementation results in a decreased progression-rate of CAC after 24 months of follow-up. I am following this research and will be reporting the results when each of these studies is published. I appreciate your product but I take ‘Vitamin Code Raw Calcium’ formulated by Garden of Life not just because they use Algae Cal in their supplement but also, it does not contain Magnesium Stearate, and that is very important to me. My husband, Steve, (59) has advanced stage osteoporosis (& fibromyalgia and scoliosis) …He is using Jarrows Bone supplement. He is in a lot of physical pain due to fractures in his spine, pulled muscles/ tendons. Unable to work since 2000…was taking opiates…now smoking medical marijuana…he feels his bones shifting/ moving & is very concerned. Doctors just tell him to ice & use Ibuprofen. Your calcium product will really work?? This is my hope. I’m new to your website. At work need to go for now. Thank you. If your or your husband would like to call in and speak to a Bone Health Advisor, we are definitely here to chat. You can call in Canada and USA toll free at: 1-800-820-0184 from Monday through Friday: 6am to 4pm (PST) and Saturday & Sunday: 8am to 2pm (PST). Two years ago i decided to “try” a bone builder pack because I had been diagnosed with osteopenia. I knew that I did not want to take Pharmaceuticals to overcome the problem so I searched and found this product period because of the money back guarantee I was immediately on board. One year later when I went in for my next bone scan the technician reading my results was surprised that I had an increase of over 8% in my bone density. I will never stop taking these products. They are worth every penny! Thanks so much for taking the time to comment and share. We LOVE hearing success stories like yours and are so happy for you and your journey so far. Please keep us updated and let us know if you have any questions during your continued bone health journey! Having been recently diagnosed with osteopenia/osteoarthritis, I would love to try this combination, but learned that it creates negative side effects for users of levythyroxine. Please advise and thanks! Sounds like you are on the right track to reclaiming your bone health. Lara’s book is super valuable and we recommend everyone read it, too! 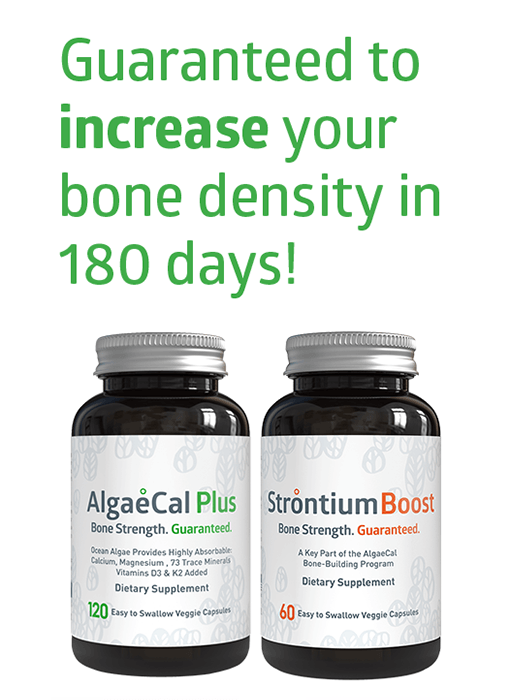 We guarantee you will increase your bone density with AlgaeCal Plus and Strontium Boost. How much, however, varies among each individual as each situation is different. That is one thing we can’t predict, unfortunately. DEXTA scan figures are based on a 30yr old. At 61, I was diagnosed with osteoporosis after a wrist fracture. The Consultant stated that if I didn’t accept her findings and failed to take injections of these chemical drugs, I would be in a wheelchair in ten years. GP also tried to push these drugs on me. A Harley street nutritionist also suggested I take these drugs. Information in UK is so sadly lacking. Unfortunately, we do not have samples of AlgaeCal products. However, you can buy one bottle first to try and we guarantee your satisfaction! If you have any questions, please let us know. We hear your story all too often of ‘doing everything right’ yet still getting osteoporosis. Everyone and situation is completely different due to health, medical history etc. so we urge you to try and find your cause(s) for bone loss. Our website hosts a wealth of information and you can always call in and speak to one of our wonderful Bone Health Advisors. I found out the painful way that too much Vitamin D can cause kidney stones. Two years ago I had osteoporosis in three of the places they scanned and osteopenia in several other locations. After only 6 months on AlgaeCal and strontium I only have osteoporosis in one location and all the osteopenia numbers have improved. I take thyroid med so I was stoked to see my latest scan after only 6 months! I have high hopes for my next scan in two years. Trying Algaecal after being diagnosed with Osteopenia at age 56. Excited to see how this works! Wonderful to hear, Rebecca! Let us know if you have any questions during your bone health journey.